Thank you so very much for supporting this project. The stream table is a huge hit with the students. They were able to explore how a stream can cause weathering and erosion. They were also able to determine if there is a way to slow down the weathering and erosion. My students spent a lot of free play time exploring how plants, rocks, and other debris can change the path of a river or stream, stop it completely and cause flooding, or control how and when the stream moves. The Earth model is often the cause of discussion in class about how Earth’s layers change due to the heat at the core. Students are often seen quizzing each other on the layers as well before class begins. The Earth shifting model has given them a better understanding of what happens and why during an earthquake. Thank you so much for helping my students to wonder, explore, and form more concrete understandings of the world around them. Many thanks for your generous donations toward this project. The rekenrek counting racks were very much appreciated by first grade students and teachers. They have become an essential tool for many students during Math Workshop. The rekenreks helped to deepen students’ number sense, enabling them to represent quantities in multiple ways. They have helped us teachers to provide an engaging, “hands-on” math curriculum for children with diverse abilities and learning styles. We believe that the rekenreks are helping our students to develop a strong mathematical foundation, ultimately helping them to meet the new common cores standards in math. Thanks again for your support and have a wonderful summer. Thank you for your generous donation of text books for to the students that I teach. I cannot begin to tell you how excited I am to start the new year with “Romeo and Juliet” as part of our reading curriculum. Your commitment to the education of children fills me with hope for the future. There is a proverb that Hillary Clinton adopted as the title of her book, “It takes a village to raise a child”. You are that village and I am truly grateful that you chose to include us in it. Thanks to you, my students will be reading great literature. I am sure they will be happy to share with you some of their writing assignments and projects as we read the play. On behalf of my students, thank you very much. 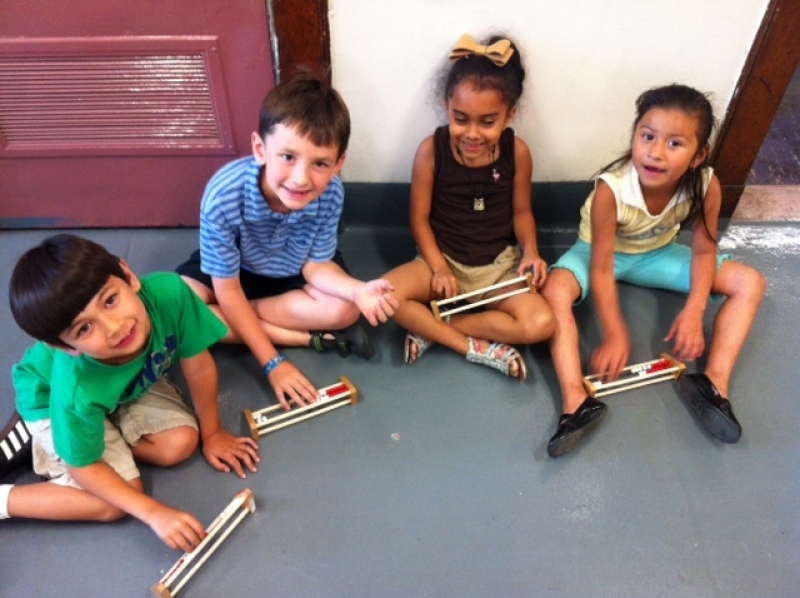 Thank you so much for supporting our students’ music education. They will be so thrilled to use the new violins this fall. They are much needed and will give more students a chance to learn the violin on their own instrument, instead of having to take turns. We had a wonderful Spring concert where the orchestra students played and sang the traditional Mexican folk song “De Colores.” Some parents got teary-eyed during the song. Your support means so much to our community. Thank you from the bottom of our hearts. Thank you for your support in funding our strings project! Our materials will be delivered at the start of the new school year. Our bass players will greatly appreciate having a working bow to use and our cellists will love having the rockstops they need to keep their instruments from slipping. The books and extra strings will help us learn and perform great music next school year. We could not have done this without your help! My students are thrilled that so many people have reached out to them, and so am I. 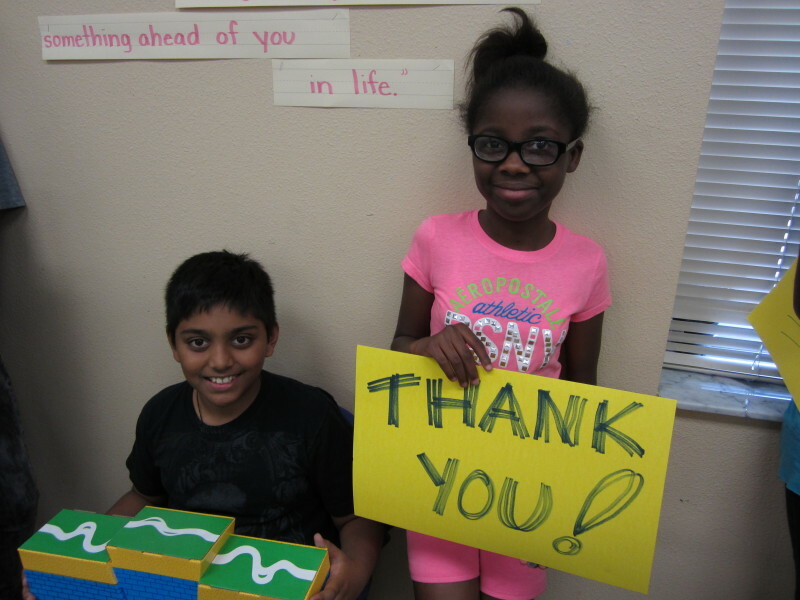 Thank you again for helping our students get the materials they need to succeed. On behalf of myself, my colleges, administration and students, I would like to thank you for your generous donation. 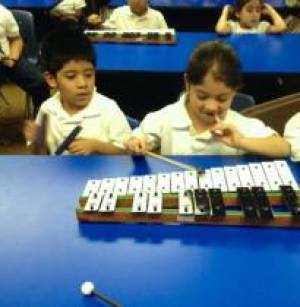 These Instruments will come to good use in the hands of students who desperately need the experience and inspiration of playing music. With our program in it’s second year of operation, these first instruments are foundational to our long term success. Music is starting to breath new life into our school and community as we begin to learn and perform alone and in groups. We owe you our deepest appreciation. I cannot fully express my joy, excitement, and heart-felt thanks for your donation to my project. It is great to see you share my vision for reaching children academically. The manipulatives you have funded will enable students to work independently in small groups, create and explain their own concepts with concrete tools, which will associate to the abstract. I hope to share with my colleagues a new technique in learning. Thank you so much. I can’t wait to introduce these tools to the children. I would like to thank you from the bottom of my heart for the gracious donation you have made to our classroom. 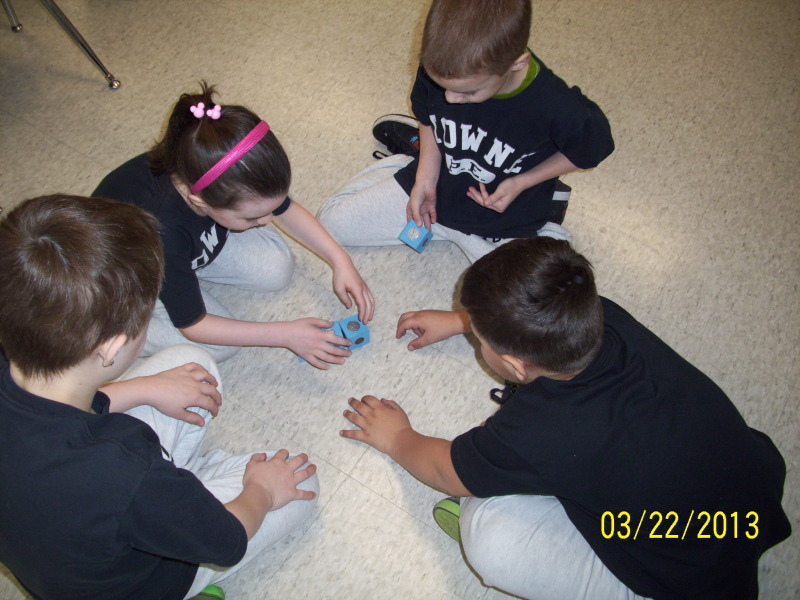 My students are “playing” while at the same time learning and reaching their fullest potential on a new level. I have seen smiles, the light bulb going off, and overall self-confidence grow on a new level over the past few weeks we have been using the manipulatives. I look forward to continuously using the manipulatives and reaching the minds of young students throughout this school year and many school years to come. Once again, my students and myself thank you for your dedication to our classroom!